WHO IS MAGICIAN JASON ABBOTT? Jason Abbott has been a full-time working comedy magician for the past ten years. 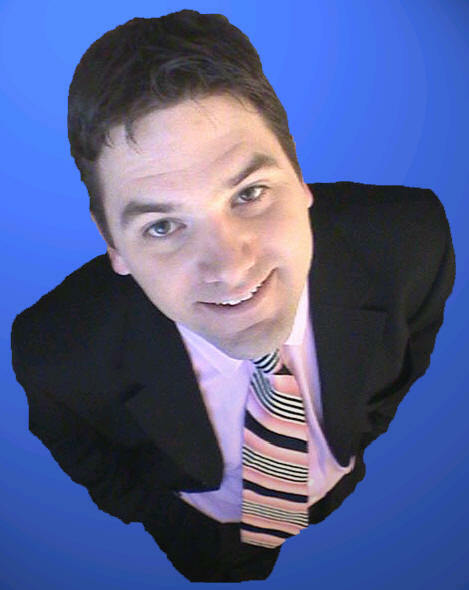 He performs at over 300 events each year including trade shows, sales meetings, hospitality suites, school assemblies, libraries, festivals, blue and gold banquets, restaurants, weddings, communions, and yes even children's birthdays. 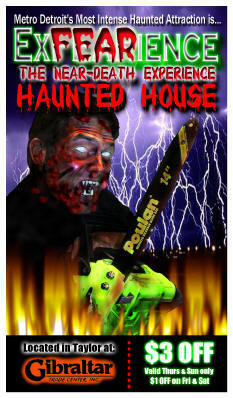 He has appeared and disappeared in front of tens of thousands of people and has won several magic awards. 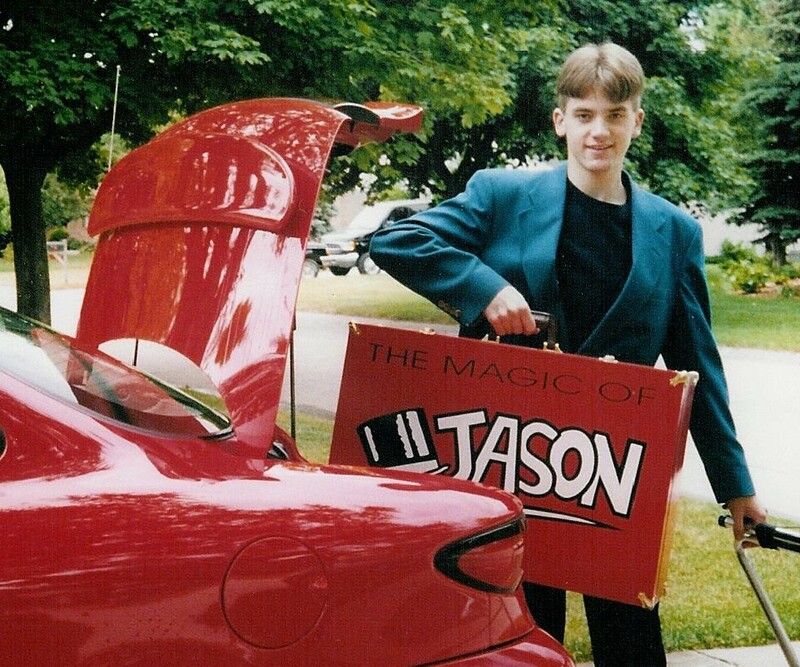 Jason became interested in magic when he was five years old when his mom bought him a Fisher Price magic set. He would practice the tricks for hours in front of the mirror and then try to fool his mom with them (to bad she had to read him the instructions!) At six he did his first paid magic show for his brothers 4th birthday party (right picture). At twelve Jason took an all adult magic class and started to learn the more "slight of hand" type magic. Jason took a real liking to card magic and throughout middle and high school carried a deck of cards with him at all times just incase the opportunity for magic arose. He learned magic from the best as he attended many lectures and went to tons of magic conventions. Jason then competed in several magic contests including the International Battle of Magicians, Columbus Magi-Fest, Abbott's magic get-together, and Michigan magic day. He competed in both the stage and close-up contests. Over the next few years he built up an act and at sixteen landed his first restaurant job doing close-up magic at Red Lobster on the weekends. He designed a business card and started promoting himself for birthday parties, banquets, and other special events. The word of mouth grew an between going to school and performing magic, Jason found himself pretty busy. 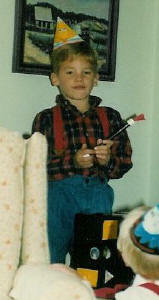 In the summers Jason would attend art fairs and do balloon animals for tips. In the fall he would do balloons animals for kids at Parmenters Cider Mill. He would then hand out more business cards. Jason graduated from Northville High school in 1999. 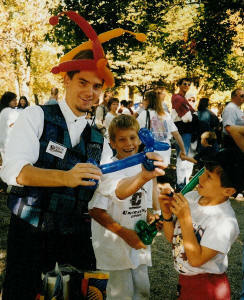 He then went to Schoolcraft College and continued to do bigger and better magic shows. By this time he had a solid 45 minute Family magic show and also did incredible walk around magic. He started working at fancier and fancier events. In the fall of 2001 Jason used his knowledge as a magician and a small business owner to open ExFEARience the Near-Death Experience Haunted House located at Gibraltar Trade Center in Taylor, MI. The photo on left is the flyer for the event. Jason is the guy in the picture. He has owned and operated it through four successful seasons. 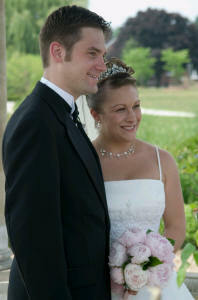 In June of 2005 Jason got married to his lovely wife Christianne (a teacher). PS: they met each other at another Haunted House at Freedom Hill. Nowadays Jason lives in Macomb, MI but travels all over doing magic shows.